The Digiflavor Edge Box Mod features an elegant chassis design, making it an appealing eye candy to many. Internally, the Edge utilizes the AS Chipset, capable of 5 to 200W of power with a lot of feature. Users have access to output modes such as power mode (soft, standard, or powerful), memory mode, a full temperature control suite, Bypass mode, and VPC (variable power curve) in the palm of their hand. 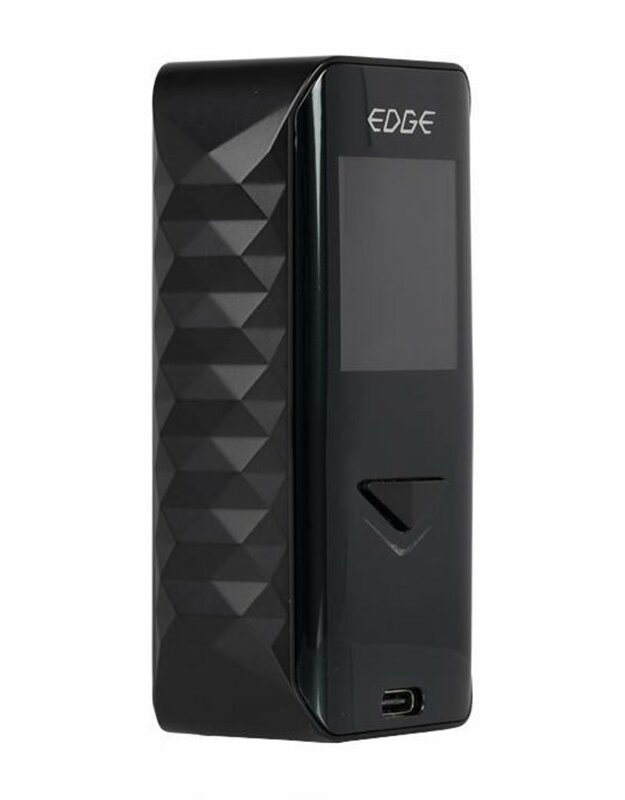 The Edge features a large format OLED screen that shows essential data for Vapers including output mode, output wattage, puff counter, individual battery life indicator, real time clock, and many more. Maintaining a form of elegant yet ergonomic the Edge features diamond cutting textures on the side along with a triple control interface. The oversized button is neatly placed on the side whilst the adjustment button rests above the LED light; Key features to note is that the brightness settings can be changed by holding either the up or down adjustment button while holding the fire key, locking your wattage settings can be done by holding both adjustment buttons at the same time, and entering a sub-menu for the system is done by clicking the fire button three times (which enters the mode selection) and pressing the adjustment buttons at the same time. This sub-menu allows users to reset their puff counter, change their LED light, and access a replay setting. Powering the Edge Box Mod are dual 18650 batteries (sold separately), which are housed through a spring release battery door located on the opposite side of the OLED screen. Simply pressing the button on the bottom of the device will pop the door open. There are two ways of charging the Edge, one way is to charge it via USB cable with up to 1.5V. Charging the Edge with a USB cable will activate the LED light to blink green when charging and a solid green when it is complete. The other way to charge the Edge is with a Qi Charger that is regulated with 9V and up to 1.1A.